The ASEAN Intergovernmental Commission on Human Rights (AICHR) was launched on 23 October 2009 in Thailand as a consultative body as part of the ASEAN’s efforts toward the creation of a “people-oriented community”. 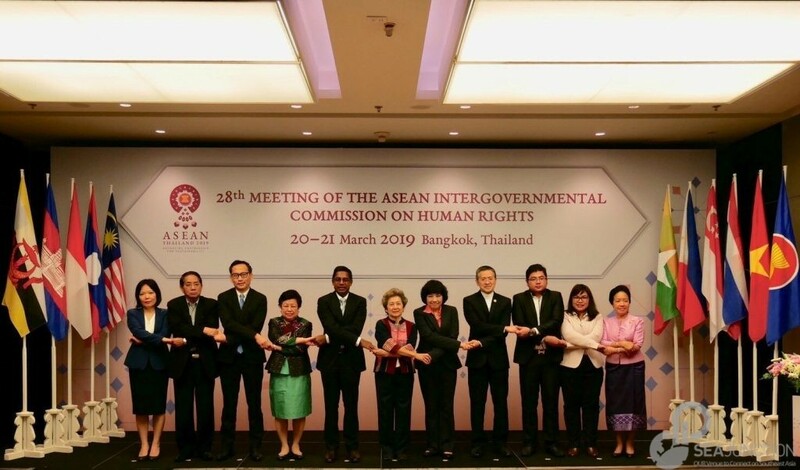 ASEAN member states promised that AICHR will be a regional space where the culture of human rights can evolve and lead to cooperation in the promotion and protection of human rights. The main objectives of the AICHR are to promote and protect human rights in the region. AICHR consists of ten country representatives to carry out fourteen mandates coming from Brunei Darussalam, Cambodia, Indonesia, Laos, Malaysia, Myanmar, the Philippines, Singapore, Thailand and Viet Nam. Each country representative to AICHR hold the position for three years with the possibility to be re-appointed/selected for another term. In 2012, ASEAN Head of States/Governments adopted the ASEAN Human Rights Declaration (AHRD) which recognises civil, political, economic, social and cultural rights. AHRD also includes right to development and right to peace. Yuyun Wahyuningrum is the Representative of Indonesia to the ASEAN Intergovernmental Commission on Human Rights (AICHR) of 2019-2021. She has spent more than twenty years working in different NGOs – at the national, regional and international ASEAN’s advocacy, especially on the area of ASEAN Political-Security and Socio-Cultural Pillars. She is also PhD candidate at the International Institute for Social Studies (ISS) in The Hague of the Erasmus University of Rotterdam, The Netherlands. Her research deals with global-regional interaction of the human rights norms with specific focus on ASEAN as a site of contestation and the role of the participating actors. Charles Hector is a Malaysian human rights defender and practicing lawyer who has been advocating human rights for decades. After graduation, he worked with the National Office for Human Development, then SUARAM and thereafter has been a lawyer. In 1993, he was instrumental in developing “The Malaysian Human Rights Charter” adopted by some 50 NGOS in 1993 and in the Malaysian Bar Legal Aid Dock-Brief. He was elected a member of the Bar Council 2005/2006 and was the Chairman of the committee for the elimination of discrimination in2005-2007. He was the treasurer of the National Human Rights Society (HAKAM) for four years and is a member of JUST and ALIRAN and one of the coordinators of the Malaysians Against Death Penalty & Torture (MADPET). Regionally, he was involved in the production of the 1st Human Rights Education Pack (HRE Pack) for the Asia-Pacific region in 1995 and was a Council member of Asia-Pacific Regional Resource Center for Human Rights Education (ARRC). The event is free, but donations are most welcome to enable SEA Junction to continue its activities and keep events accessible to the public.